Our animal friends can also suffer from cold and sickness caused by prolonged exposure to harsh weather, causing them to feel uncomfortable or requiring medication. To protect them, especially if they originate from warm climates, people have designed various cold weather coats that can be put on dogs to keep them warm. We have searched and found a list of products, and these are further presented. Read our reviews to see which the perfect choices are for your canine friend. The best way of keeping your dog warm and comfortable during winter or the colder weather is by buying it a special blanket. This particular item is designed for more sizes and can be fit on almost any breed of an apartment or house dog. Featuring a solid, water-resistant shell that can be washed in the washing machine, it includes extra lining, making it soft and comfortable but also good for cold weather. It has a reflective print detailing on the back, so you do not lose sight of your dog in crowded places or low light conditions. 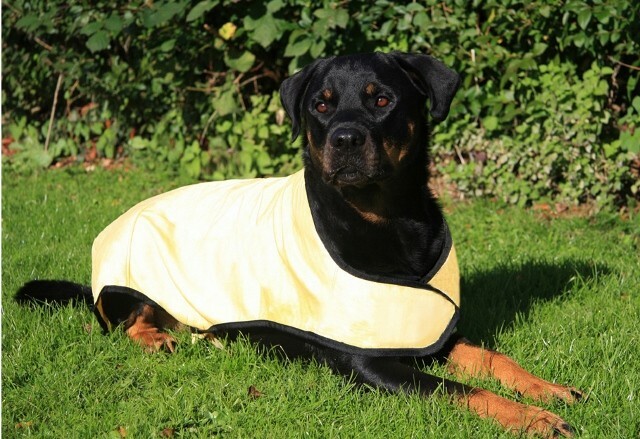 Adjustable fit is provided by the Velcro stripes on the neck and belly, so it can fit more dogs of similar sizes. Larger breeds can also suffer from cold, even if they are not apartment dogs. This Derby Originals dog blanket is meant to keep your pet warm in the worst weather conditions, and since it is waterproofed, it is suitable for those living in rainy environments. 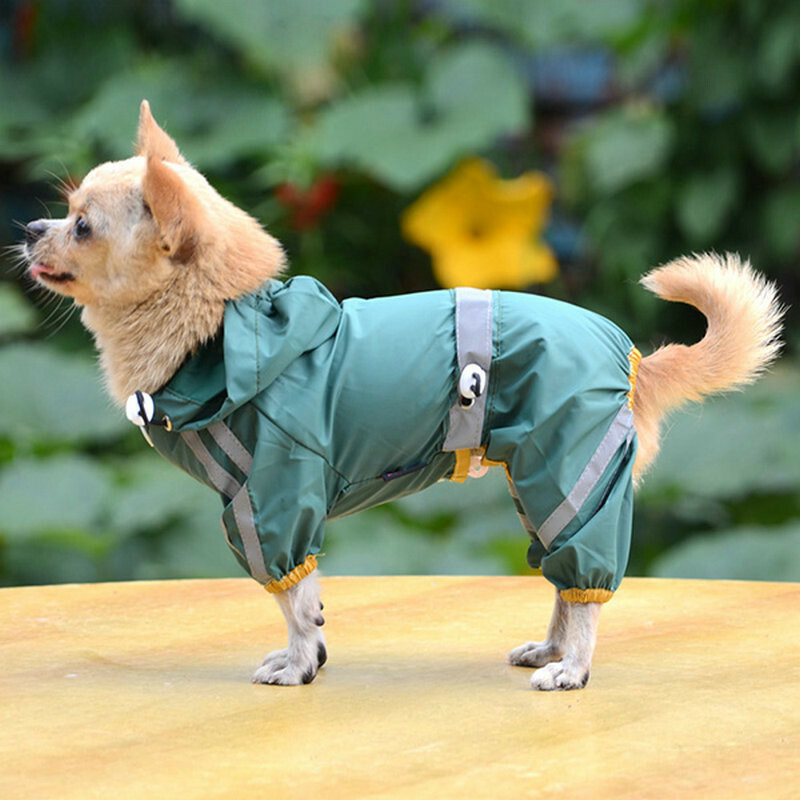 It features a ripstop and waterproof outer shell; with 150 grams polyester fill insulation and breathable 210D lining, for extra comfort and longer lifespan, the item offers everything your dog needs, to stay comfortable in cold weather. It has a frontal buckle closure and adjustable belly wrap with a quick-grip closure, so it is easy to put it on your dog. Another design intended for small breeds, this arctic dog coat offers great protection against cold weather, and it is also affordable and easy to use, making it one of the more appreciated products of its type. 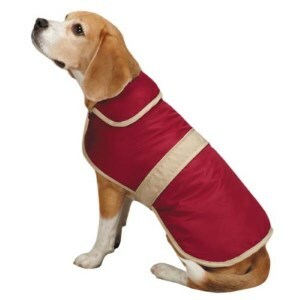 A strong build featuring two layers of fabric with a heavy lining made out of polyester will keep your pet warm and comfortable. It has a rubber paw print patch and Velcro neck and belly straps, assuring a firm fit for your dog. Offering full body coverage, it only leaves the head and legs exposed so it might not be suitable for snowy weather but it will do great in other conditions. Combining a fashionable and cute look with good insulating properties, this product is perfect for small house dogs, and the price means it has great value for the money. It offers full body coverage thanks to the nylon shell, and extra lining was added, to keep the animal warm and comfortable in lower temperatures. Available in cranberry coloring, it has a beige trim that makes the dye stand out. Adjustable Velcro closures make it easy for you to dress the dog, and you need not worry about it getting dirty because it can be easily machine washed. The fleece lining is enough to keep the animal warm in moderately cold temperatures, so no extra clothing is required. Casual Canine offers full body coverage and increased protection for your dog. The item is appreciated for its affordable price and easy mounting, being designed for home dogs of small and medium sizes. A nylon outer shell covers the whole body, leaving only the legs and head exposed. It has adjustable Velcro neck and belly closures for a perfect fit, and the classic colors are accentuated by the beige middle trim. 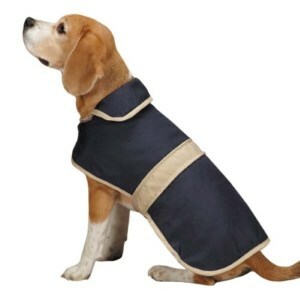 It is machine washable too, and the fleece lining retains body heat, making it ideal for smaller and more energetic dogs which like playing and enjoy being taken outdoors. This zip-up dog vest is designed for small breeds and relatively cold environments, but it is not waterproof and has no hoodie, so the perfect weather for this item is found in late autumn and early spring. With a polyester outer shell and fleece lining, it is perfect for the moderately cold weather and light rains. It has a zip-up closure for easy mounting and dual rings behind the neck, where you can attach the leash. Besides, it is also machine washable so getting it dirty is not a problem. The larger sizes do not fit large dogs, so the producer recommends measuring the dog with care before purchasing the product. Small breeds are the ones most exposed to cold-induced sickness and require extra protection. This is why this dog coat is only meant for the smaller dogs and has an extra lining to increase the level of protection against cold. The fully lined jersey knit is one of the best means of keeping your puppy warm and comfortable. 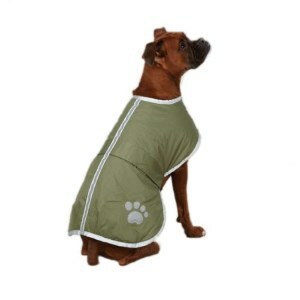 To make it easier to dress your dog, the coat has a Velcro front, so it can be immediately put on. It is also machine washable, making it basically maintenance-free. The thick Sherpa shell fabric has an all-over print, making it easy to identify your dog amongst others, in special parks and places. Some dogs may not suffer from cold, but humidity might cause them health issues. That is why some jackets are waterproof and also lined, to fulfill both purposes: keeping the animal warm and dry. 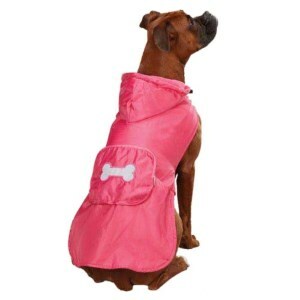 The PetCee dog jacket is available in a multitude of sizes, for all dogs, and it is sold in 4 different colorings. It is made out of polyester, and the fleece lining is particularly good for extremely low temperatures, during winter. Suitable for larger breeds, there are also models for small dogs. If the product is not satisfactory, a 100% return guarantee is also issued, so it can be easily changed or returned to the producer. 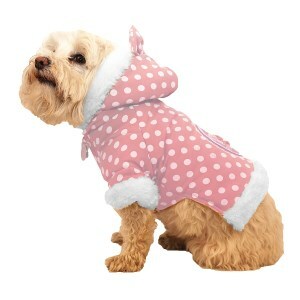 Designed to keep your dog warm and feeling comfortable in cold weather, the hooded pet sweater is also cute, with a Polka-dot pattern that makes it stand out in comparison with other products. Meant for smaller breeds of dogs, this product is available in 3 sizes, so you can surely find something for your pet. The hood is removable and can be placed around its neck, to protect those areas against cold as well. It has a belly Velcro for easy use and also includes a leash holder behind the neck area, so you can still keep a firm hold on your dog. It is available in two colors, brown and pink. This product is excellent for protecting dogs living in cold and rainy environments without being natives of that region. 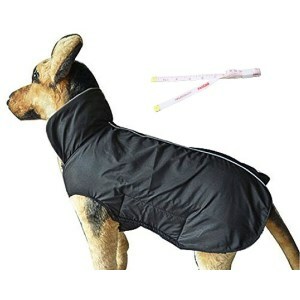 The jacket is affordable and easy to use and maintain, offering good results in terms of keeping your pet warm. Waterproof and ripstop nylon shell is used for this item, and the fleece lining offers extra warmth and protection. It can be zipped up into the storage pouch for easy transportation, and since it is machine-washable, it does not require any special maintenance. As an extra, it has a reflective bone sticker on the back to make it easier to find your dog if it gets lost in a darker place. Sometimes the dog’s fur might not provide adequate protection during those rainy autumns and cold winter days. Especially since most owners prefer breeds with shorter hair, that don’t always make for the best insulation, dog clothes have become more than just a fashion statement, but a necessity for keeping the animal healthy. Far from being an unnecessary spending, the best dog raincoats, dog jackets, and sweaters can actually help save you money, by cutting into the trips to the vet while also improving the overall quality of life for your pet. Most of these have a similar cut, which we will detail below, but you must also take into account the specific breed you are dealing with when buying, as well as the temperament of your particular dog. Your animal companion might not like the feeling of being snuggled up in clothing, or it might overheat if you’re dealing with a breed that’s already adapted to the cold. Needless to say, smaller or leaner dogs will be in greater need of clothing than bigger breeds since it will be harder for them to maintain their core temperature due to their smaller overall mass. We’ve taken a look through some dog coats reviews to give you a couple of pointers on what specific things to look for when browsing through what’s for sale. There are dog sweaters, dog jackets, even dog hoodies or tweeds, but no matter their style, they tend to have a similar cut, dictated by the animal’s anatomy. They mainly cover the dog’s spine and sides, and close somewhere around the lower chest and just underneath the neck. Items intended to provide especially good cold protection tend to cover more of the chest and belly areas, and might even feature sleeves. Special care should be given that these don’t close too tight and impede breathing, that they don’t constrict movement or that they are easy to take off when the need arises. A modicum of rain protection is offered by most winter clothes, but the best dog raincoats are supposed to also cover the head and sometimes feature flaps that extend to offer some protection to the dog’s legs and backside. Otherwise, the back side and lower belly should always be left open, so as to avoid bathroom-related accidents. 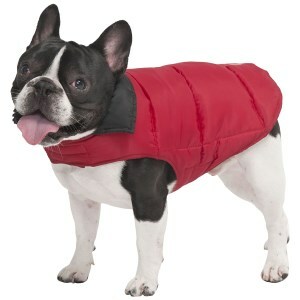 Your dog jackets comparison should start by considering what are the specific needs you want for it to fulfill. It’s a little vain to dress your dog just for the sake of style, especially since tight-fitting clothing might cause the animal a measure of discomfort without offering any benefit in return. If you live in a cold area and the pet shows signs of discomfort when it’s being walked during a winter day, then you should consider investing in a thick winter jacket that will also offer a good measure of protection from rain. These generally cover a lot of body surface and also come outfitted with a hood, pretty much like their human equivalents, with which they also tend to share the building material. You should remember that dogs are generally more resistant to cold than humans, so they might not need as much supplementary protection from clothing as you or I. Don’t go for parka when wool might do the trick. There are a lot of new dog sweaters out there, that offer extra warmth during a cool day, without the bulk and rigidity of a full-on winter jacket. If rain is an issue but cold is not, don’t overheat the poor animal and settle on a vinyl raincoat, which will offer great practicality and no added cost or discomfort. Remember that the best waterproof dog walking coat should offer some covering for the head and the dog’s sides while leaving the belly and chest relatively open to allow heat to be lost. 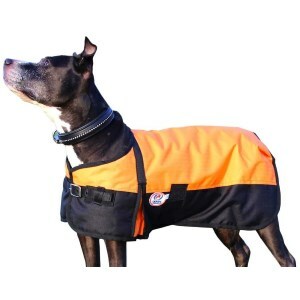 Some doggy jackets feature pockets and holders, which are useful if you want to keep track of your dog related paraphernalia during walks and some are even specialized for transforming your pooch into a pack animal. A thing to look for is neck covering, or the absence of it. Some clothes cover the neck, which might make it difficult to be used with a dog collar, especially if the piece of material that goes over the neck isn’t easily retractable. You might want to associate these jackets with a leash that’s attached to straps over the dog’s torso. Reflective material or even LED lights are used to reduce the risks associated with night walking, especially on the side of the road or other areas where you can meet cars. These generally blend well with the rest of the material and they don’t really take away from the coat’s aesthetics during the daytime, so they’re definitely something to consider at little extra cost. Dogs are notoriously messy animals so expect that their clothes will be faster to get dirty than your own. Look for coats that are machine washable to spare you the trouble of having to resort to dry cleaning. If rain is your main concern, then you should take note that a poncho, which is basically a piece of vinyl will be a lot easier to clean then something more substantial. Basically, you just stick it under a showerhead after you are done with the walk. The best dog coats can cost in the three figures, and for this money, you should expect some attention given to their looks. Most simply take cues from human fashion and imitate common designs, such as trench coats, parkas or flannels, while others decide for a more novelty approach. Deciding on the material comes mostly to user need and preference, and since the manufacturers use pretty much the same stuff like with human clothing you should be familiar with their properties. Leather is especially stylish but expensive, and might not be the best choice for an animal that will use it to rub against tree trunks; puffers are cheap, light, and provide good cold protection, but have a tendency to tear easily; wool is light and warm, while its infamous itchiness won’t pose that much of a problem for a furry creature as it would for a human. The list goes on and on.